The main brood diseases of A. mellifera, with their causative organisms, are American foulbrood (AFB), Paenibacillus larvae; European foulbrood (EFB), Melissococcus pluton; sacbrood, sacbrood virus (Thai sacbrood virus in A. cerana); and chalkbrood, Ascosphaera apis. Diseases of adult bees are nosema disease, Nosema apis; amoeba disease, Malpighamoeba mellificae; and virus diseases. Parasites are tracheal mite, Acarapis woodi; varroa mites, Varroa jacobsoni, and V. destructor; the mite Tropilaelaps clareae; bee louse (Diptera); Braula spp. ; and the small hive beetle, Aethina tumida. Disease or parasitization debilitates the colonies, and diagnosis and treatment require time, skill, and extra expense. Most of the diseases and infestations just listed can be treated if colonies are in movable-frame hives, and in many countries bee disease inspectors provide help and advice. Colonies in fixed-comb hives and wild colonies cannot be inspected in the same way, and they can be a long-term focus of diseases. But by far the most common source of contagion is the transport into an area of bees from elsewhere. The parasitic Varroa mite provides an example. It parasitized A. cerana in Asia, where the mite and this bee coexisted. In the Russian Far East, it transferred to introduced A. mellifera, whose developmental period is slightly longer, allowing more mites to be reared. Because colonies could then die from the infestation, the effects were disastrous. In the mid-1900s, some infested A. mellifera colonies were transported to Moscow; from there, mites were unwittingly sent with bees to other parts of Europe, and they have now reached most countries in the world. Since the 1950s it has been increasingly easy to move honey bees (queens with attendant workers, and then packages of bees) from one country or continent to another. 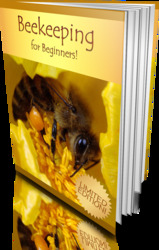 One result has been that diseases and parasites of the bees have been transmitted to a great many new areas, and to species or races of honey bee that had little or no resistance to them. The development of large-scale agriculture has involved the use of insecticides, many of which are toxic to bees and can kill those taken to pollinate crops. In California alone, insecticides killed 82,000 colonies in 1962; in 1973 the number was reduced to 36,000, but in 1981 it had risen again, to 56,000. More attention is now paid to the use of practices that protect the bees, including selecting pesticides less toxic to beneficial insects, using pesticides in the forms least toxic to honey bees (e.g., granular instead of dust), spraying at night when bees are not flying, spraying only when the crop is not in flower, and using systemic insecticides and biological pest control. 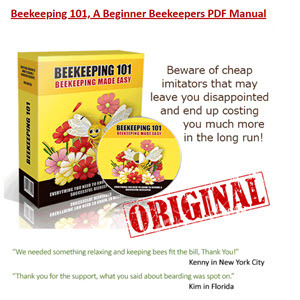 Possible actions by the beekeeper are less satisfactory: moving hives away from areas to be treated, or confining the bees during spraying by placing a protective cover over each hive and keeping it wet to reduce the temperature. By 1990, legislation designed to protect bees from pesticide injury had been enacted in 38 countries, and a further 7 had established a code of practice or similar recommendations.